Israeli forces targeted Palestinian fishermen and farmers, in the southern besieged Gaza Strip, on Tuesday morning. Eyewitnesses told Ma’an News Agency that Israeli naval forces opened heavy fire towards Palestinian fishing boats, within the permitted fishing zone of six nautical miles, off the southern coast of Rafah. The fishermen were forced to head back to shore in fear for their lives. No injuries nor detentions were reported. 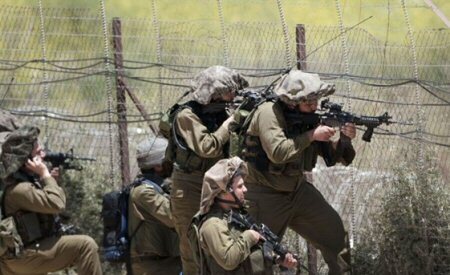 Meanwhile, Israeli forces also opened fire on Palestinian farmers while they were working on agricultural lands to the east of Khan Younis, in southern Gaza. The farmers were also forced to flee the lands, in fear for their lives. However, no injuries were reported. The Israeli army regularly detains and opens fire on unarmed Palestinian fishermen, shepherds, and farmers, along the border areas, if they approach the buffer zone, as the authorities have not made clear the precise area of the designated zone. The practice has, in effect, destroyed much of the agricultural and fishing sector of the blockaded coastal enclave, which has been under an Israeli air, land and sea blockade for nearly 12 years.